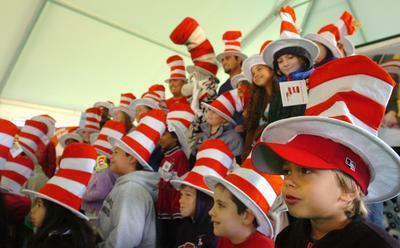 There are many children who can write poems like Dr.Seuss…are you one of them ? ?…Then share your poem with us in a comment box below…don’t forget to put Dr.in front of your first name. Hi, my name is Puzzy. And I like to ride my drumple. I live in a town called Tuffle. I like to play the game of Duffle. I like to eat pears. I have a small nose. I like to wear hose. I have a pet named Din. He likes to sit in a tin. He lives in town named Mound. He gets his pets from the pound. And words he must spell.